Join me (and almost 600 Students!) over at Jeanne Oliver's Creative Network for The Art of Alcohol Ink. This is a beginners course and should be taken before The Art of Alcohol Ink II. I love me some Jeanne, and this course will always be on her network. You will love it there, be sure to check out all of the courses. It is because of Jeanne that I opened the door to art in this season of my life. After I designed and developed JeanneOliver.com Jeanne and Kelly asked me to stay on with them, which I was blessed to say yes to. 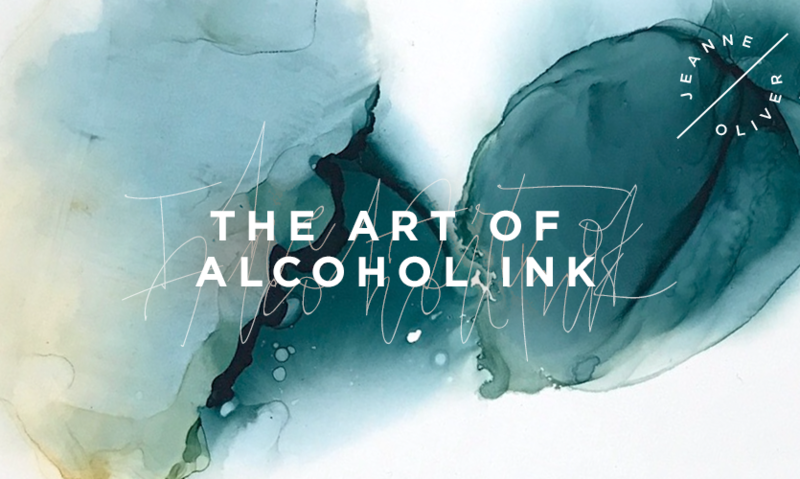 The Art of Alcohol Ink II Course will be coming to JeanneOliver.com in August 2019. So go on over and stay in the know!